Crone & Co wins the price for the Best Return on Meeting Investment, ROMI. The price is given to an organiser and a meeting or an event, being able to document an increased outcome (economically, sales, learning….). Crone & Co. wins the price for the KMD Innovation Day 2014. KMD realised the highest participant number to date. Concerning the projects KPI´s, KMD realised a participant registration rate at more than 30 % above the expected, while the number of no-shows where at only 16%, being at 40% the year before. The no. of generated leads reached over 40 % of the set KPI. In general the total overall evalutation reached way above average, 95% of the participants being satisfied/very satisfied. Thank you to all who voted for Crone & Co, and thank you to the jury for not only the ROMI price – but for also nominating us in a total of 7 categories. 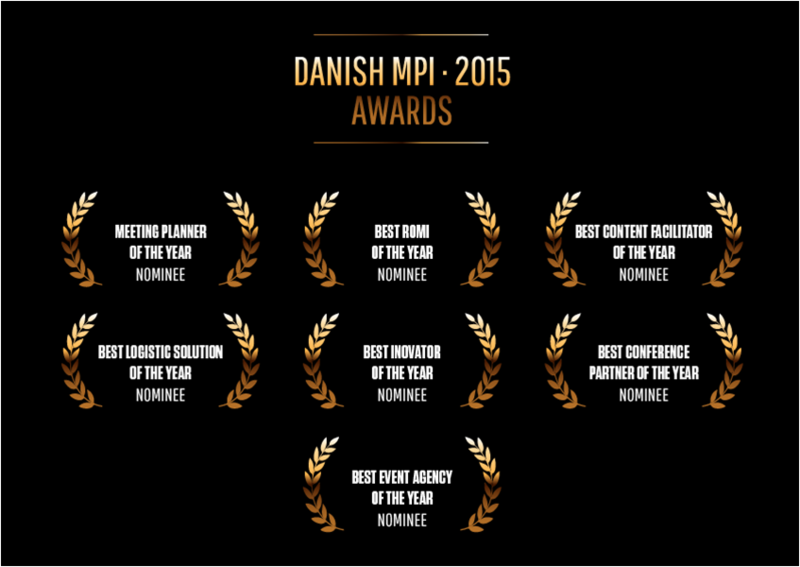 We are humbly thankful for this recognition to the Crone & Co team at this years MPI Award. A major appreciation of the work we are doing. THANK YOU ALL!